For the 4th year running, Outside of the Boot has returned with our year’s special feature – a detailed look at the best young players every football enthusiast must keep an eye out for in 2017. This feature is published in 10 parts which help us divide the list positionally (10 goalkeepers, 30 defenders, 40 midfielders, 20 forwards). 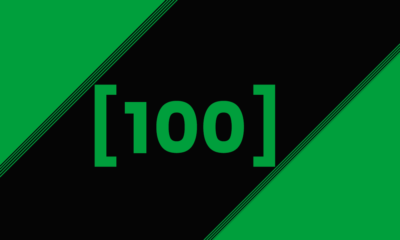 All players born on or after January 1st 1996 are eligible for the feature. Blurb: South American footballers, defenders in particular, have had their success stories the European game. Over the years, countless numbers of players from nations like Brazil, Argentina, Chile, Colombia, and Uruguay have pitted themselves against a range of abilities across the Atlantic Ocean. 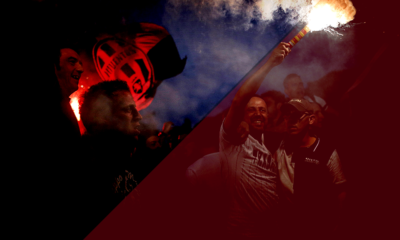 From the biggest stage in the Champions League final, to the smaller rungs of leagues across Eastern Europe, there is truly an enormous amount of transplants to test their mettle on foreign shores. Though the more lauded attacking players receive the lion’s share of the praise, as is with most sports, South American defenders have been at the forefront of some of the most memorable sides in Europe in the last decade. 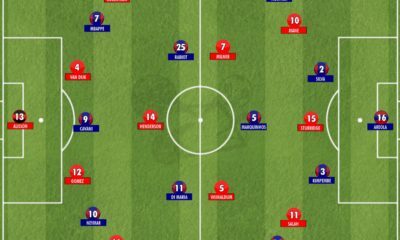 As a prime example, Atletico Madrid, boasting arguably the most vaunted back four on the continent, can claim that three of the four at the back are South American. We’ve seen quite a few young players come to Europe as well. And though many of them will never reach the trailblazing heights of a player life Cafu, some will certainly leave their mark. 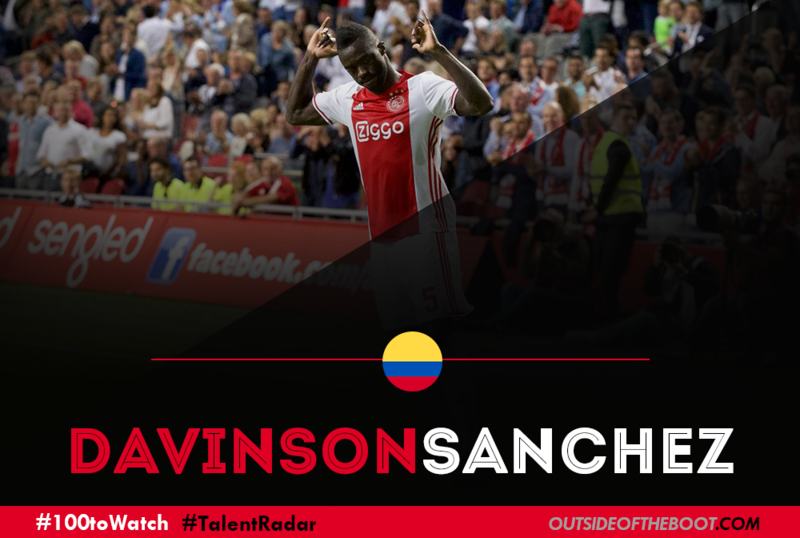 One young player who could one day realize that potential, is Ajax’s Davinson Sanchez. 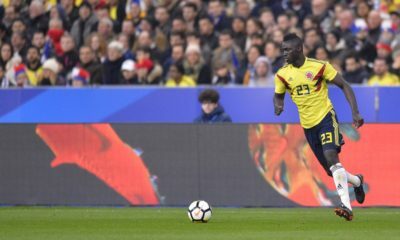 Analysis: Hailing from the town of Caloto in the northeast of Colombia, Davinson Sanchez is a defender whose stock is soaring this current season. 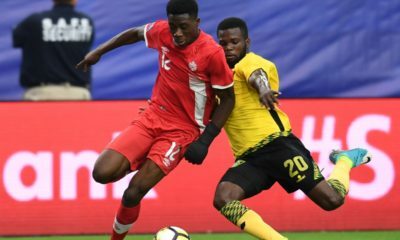 Born in 1996, the 20-year-old Colombian international began his footballing education at America de Cali, but transferred to giant Atletico Nacional where he would come under the tutelage of Juan Carlos Osorio. After coming through the ranks and showing promise, Osorio gave Sanchez his debut in 2013 as a 17-year-old. Continued progression eventually would see the youngster garner interest from Barcelona, but also Dutch giants Ajax Amsterdam. By this time he was already an established youth international, and rather than potentially stagnate at Barca, he chose a move to Amsterdam instead. It was a decision that proved to be not only good for his development, but it showed maturity as well. At current, Sanchez is a mainstay at the back for manager Peter Bosz. Alongside fellow center back Nick Viergever and flanked by Joel Veltman, Sanchez is a vital piece in a formidable back four. 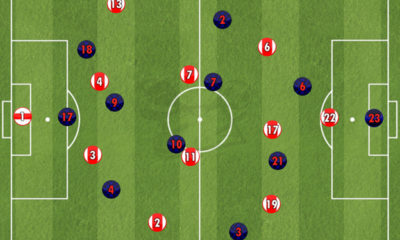 But Sanchez stands above his defensive partners by some measure. Sporting a passing completion of 90%, 61.30 passes completed (with an average distance of 21.5m), 1.65 tackles won, 1.83 aerials won, 2.87 interceptions, and 6.61 clearances (all numbers are from a per 90min matrix), Sanchez has arguably been the best central defender in the Eredivisie this season. Though he has had a handful of underwhelming performances this season, that is more indicative of his age and relative inexperience rather than a lack of talent. With his ability to move the ball in different stages and ranges, intelligence when reading opposition passing lanes, while being solid in the tackle and in the air, the 6’1’’ defender has shown immense promise through eighteen first-team appearances this season. Looking Ahead: There has never been a Colombian defender to reach “elite” status in Europe. Though the likes of Jorge Bermudez (former captain of Boca Juniors), Mario Yepes (successful career in France and Italy), Francisco Zuluaga (former captain of Millionarios), and Andres Escobar all had very credible careers, none of them had the longevity at the top of their Brazilian, Argentinian or Uruguayan counterparts. Only Ivan Cordoba can claim a glaring European career (twelve years at Inter milan), but even his status as an elite defender in Europe can come under scrutiny. With Sanchez excelling at a club whose track record for progressing young footballers better than almost anyone, the Colombian youngster could be priming his career for stardom. Considering Barcelona has already been interested in the player before his move to Europe, one can discern that the big boys on the continent will come calling – it’s just a matter of when. 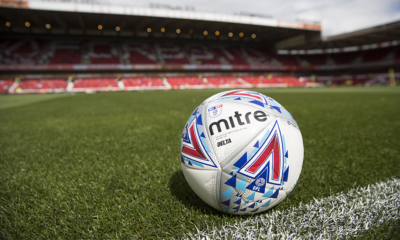 Blurb: There is no greater pride for the supporters of a football club than when a local, home-grown youngster makes the step up to the senior team. 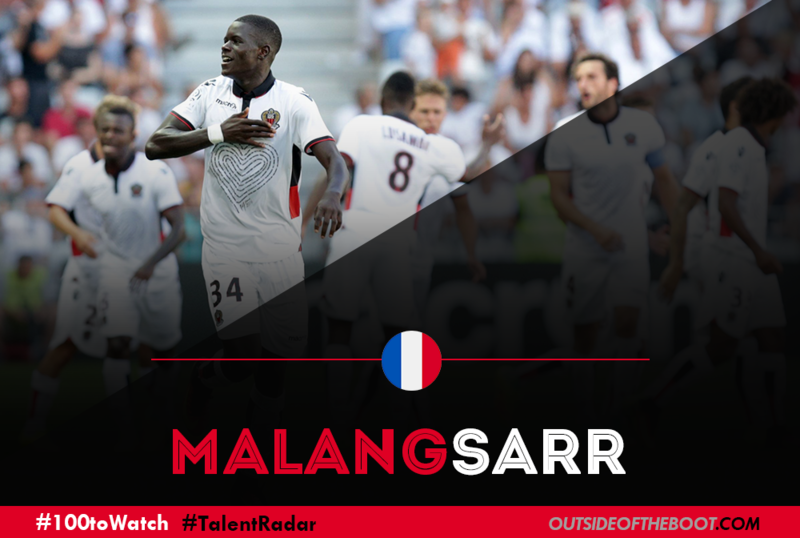 Centre-back Malang Sarr did just that for Ligue 1’s OGC Nice at the start of the season when he made his debut for the club against Rennes. 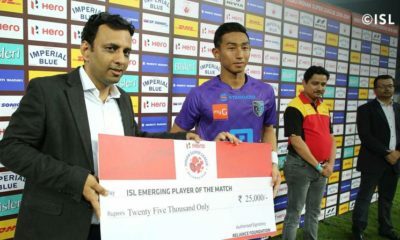 It was a day the 17-year old will never forget as he netted the match’s only goal and in the process became the league’s second youngster ever goalscorer. Sarr has since become a mainstay in Nice’s defence and is fast proving himself to be one of France’s brightest young talents. Analysis: When watching Sarr, one constantly has to remind themselves that he is still only a teenager. Sarr’s sheer physicality and power belies his age and serves as the strongest attribute in an altogether impressive defensive repertoire. Whether it be in the tackle or competing in the air, the young Frenchman dominates his more-often-than-not senior opposition and is a commanding presence in Nice’s backline. Sarr’s strength is well complimented by a sharp mind and keen sense of awareness. The France youth international is brilliant at reading the game as it unfolds around him which is best reflected in the fact that he has completed more interceptions than any other player in the Nice squad so far this season. 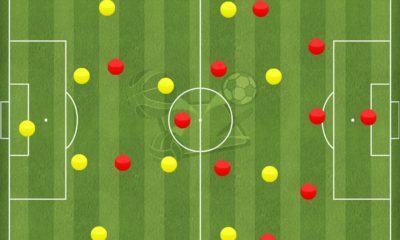 The youngster’s game is not without fault, though, and his positioning and decision-making have at times been called into question. However, Nice manager Lucian Favre can take comfort in Sarr’s minimal shortcomings as they are two areas of the game which are undoubtedly influenced by a lack of experience. Provided he continues to receive consistent game-time it is more than likely that these weaknesses will be refined as Sarr matures. Considering that the Frenchman has started in every league match for Nice this season, that could happen sooner rather than later. Looking Ahead: Sarr’s incredible rise to stardom has helped propel Nice to the summit of the Ligue 1 table at the time of writing so it comes as no surprise that he is drawing attention of some of Europe’s top clubs. The youngster is keeping his feet on the ground, however, and looks set to continue his development at Nice for the time being after recently signing his first professional contract with the club. A youth-international with France’s U18-side, Sarr will also likely continue to develop at age group level for the national team. His success with the various French youth teams and Nice, or indeed elsewhere, will determine whether or not he breaks into the senior Les Bleus squad in years to come. For now, though, Sarr’s primary focus will be on helping Nice maintain their incredible title challenge – a run in which he no doubt has a massive role to play. 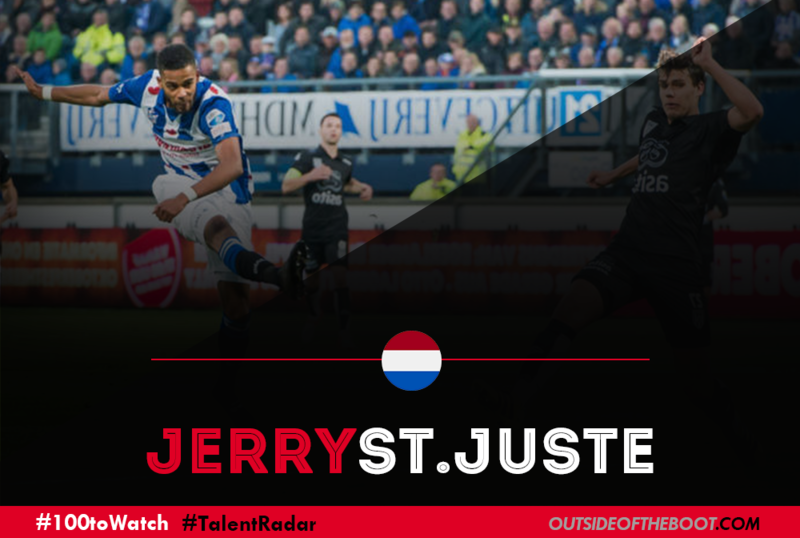 Blurb: Jeremiah St. Juste has risen through the ranks of Heerenveen in recent years, making his debut in 2014. For a player who turned twenty in October, he has had fifty six appearances in his fledging career so far. He really established himself as a starter last season, with twenty seven start. He has continued on into this season. He has formed a partnership with fellow talent Joost van Aken. The Groningen native is yet another talent from the Dutch conveyor belt. Analysis: A ball-playing centre-back, St. Juste also played in defensive midfield last season. His playing style makes him a very modern centre-back, with an emphasis on passing. He allows for the buildup of play from the back and is comfortable on the ball, which suits the side when they have possession. A pass success percentage of 91.8% is testament to his comfort on the ball. Comparison to previous seasons reveal his passing has improved over the years. He averages around 60 passes per game. This is in line with the Cruyffian principle of the central defender needing to have good ball handling skills. His comfort on the ball lets him step into midfield effortlessly, and this has bagged him two goals and an assist this season. However his passing is not the only strength to his game. His slender frame does not hinder him in fulfilling his defensive duties. At 185cm, his leaping ability allows him to win aerial duels. This season, he has won 2.3 aerial duels per game, a considerable number. 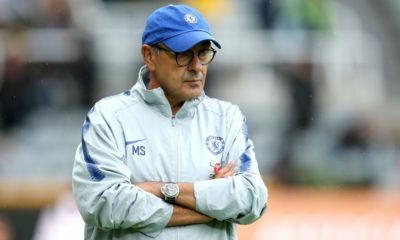 At times, his positional discipline and concentration has come under the microscope, which is natural when a defender is expected to contribute to midfield action. However, given his age, he will work on this through the years, including gaining more strength. He could be world-class in a few years if expectations are tempered. Looking Ahead: Already a regular at only 20, the future bodes very well for St. Juste. After this season, the defender may have well outgrown Heerenveen. His rapid development may limit his time at the club. Going abroad could be a likely option, however it will be crucial to choose a side that will suit his skillset. With caps for the Dutch U-21 side, Netherlands have a quality talent on their hands. Blurb: Jonathan Tah was born in Hamburg on February 11, 1996. Tah always knew he wanted to play for his boyhood club Hamburger SV, and it didn’t take him long to get there. After starting his young career with Altona 93 and SC Concordia, he joined Hamburg’s youth system in 2009. After spending 4 years in Hamburg’s youth system, he made his Bundesliga debut for Hamburger SV against Hoffenheim on August 24, 2013. After being loaned out to Düsseldorf for a year, he was bought by Bayer Leverkusen in the summer of 2015 for 7.5 million Euros. 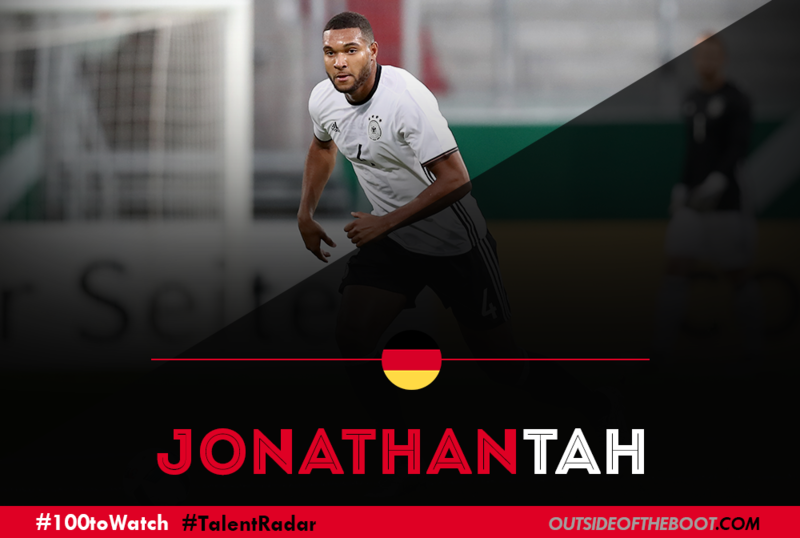 Analysis: Jonathan Tah has always been a big boy, which conveniently enough has been prevalent in his game since his time in Hamburg’s youth academy. He excels in the air, winning around 60% of his aerial duels in his Bundesliga career. His presence in and around the box is massive, in a way like his fellow German Jerome Boateng. Tah is also very solid making tackles without committing fouls, something many center backs this day and age struggle with. He’s exceptional defensively, yet still gets lost at times on the pitch. His positioning can be sketchy sometimes, but for the most part he’s where he needs to be. His main weaknesses are his passing ability and ball control. He’s one of only 3 Bundesliga defenders this year to be credited with a defensive error that has directly lead to an opposition goal. His passing completion percentage has gotten better from last year, but is still not on par with the elite center backs in the top European leagues. For him to take that next and final step, he needs to improve in these two areas. Looking Ahead: Tah is a special talent who has lived up to the lofty expectations that were set in front of him at a young age. It has helped that he’s currently at a club in Leverkusen that has been known to get he most out of its young talents. A positive for the defender that will most likely take the next step to a bigger club very soon. With a bit of work on his ball skills and passing ability, he can easily become one of Europe’s elite defenders. 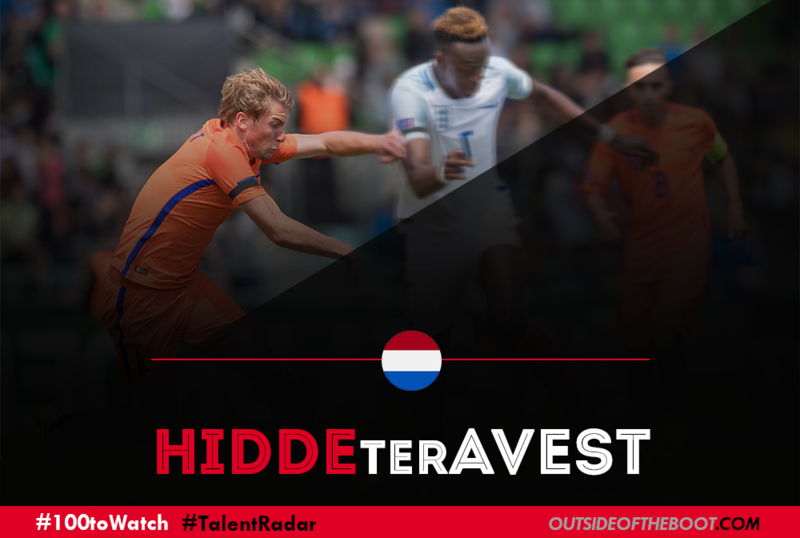 Blurb: Hidde ter Avest’s emergence in the 2014-2015 season was timely for a Twente side that was struggling financially. 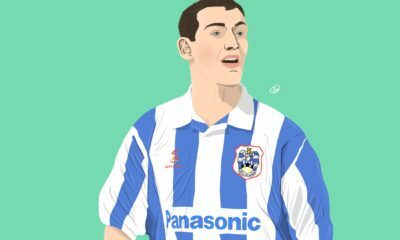 Making his debut at the age of 17, he made ten league appearances in the season, and was promoted permanently to the first team last season. He was the starter at right-back throughout the campaign, making twenty eight starts out of thirty four. In the same season, he got his maiden goal versus Heracles and also picked up two assists along the way. He has continued to develop, missing just two out of sixteen games in the current season. He got his second goal for the club against Utrecht. A youth exponent of the side, ter Avest has also played four times for the Dutch U-19s. Analysis: Only 19-years-old, ter Avest is a strong and tall right-back who has established himself as a key part of the Twente defense. 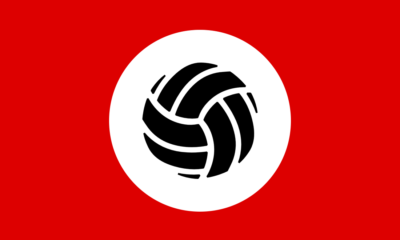 He provides support to the right-winger in front of him and generally provides mobility on the right flank unless his side are pressed back by a superior opponent. His strength and speed allows him to move up and down his flank, and hold his own against opposition attackers. One of his strong attributes is his ability to anticipate slide tackles, as well as blocking the ball. However he is not a great passer of the ball with an average pass success percentage of 74.3% this season and just one key pass per game- which shows he is not an attacking outlet on the right. This is substantiated by the fact he is not a great crosser of the ball- with just 0.4 crosses per game. Being young, he can also tend to drift in and out of the game. He will need to work on his crossing and final product in the coming years to develop into a potent right-back. Thrown into the first team at a young age, he has had to learn on the go, and with experiences he will iron out the chinks in his game. Looking Ahead: Ter Avest has been a mainstay in the Twente side this season. One of the promising defensive talents in Netherlands, regular gametime has been a boon to his career so far, especially at a level which is not that of the big leagues but is still challenging. He is unlikely to change clubs in the coming years: his focus should be to continue to mature and grow as a player. A big move to one of the big leagues will come in time- by which time Netherlands could have a gem on their hands. Blurb: Outside of the borders of Scotland, the current Celtic side’s biggest and brightest star in the eyes of the footballing world is Moussa Dembele. Step the other side of Hadrian’s Wall, however, and the buzz amongst the natives is more for the flying young Scottish full back, Kieran Tierney. The youngster has also been extensively scouted by some of the biggest names in European football, and seems set for a bright future in the game. Analysis: Tierney first joined the Celtic youth academy set up in 2005 at the age of 8. During his 9 year run in the youth side, Tierney was developed primarily as a left back, and became an asset to the side with both his technical ability and his blistering pace. He was called up to join the Celtic first team in their 2014 pre-season tour, and made his first appearance in the green and white hoops against Tottenham. In spite of his pre-season outings, the Celtic backroom staff decided he would better placed in the development side for another season. Tierney would make his first full team appearance before the end of the season however, debuting against Dundee as a late substitute. His talents truly came to the fore the following season, where the youngster displaced Izaguirre as the first choice left back, in spite of giving way almost 10 years to his positional rival. The keys to his uprising were his relentless acceleration and a great end product. Kieran Tierney is the quintessential modern full-back cliché – quick, light, tricky and good with his feet. The youngster accrued six assists in his first full season with the Celtic first team, which is an impressive return for a wing back as young as he. His talents are most vaunted at the opposite end of the pitch to which he plays. His pace and direct running are a nightmare for defenders. Tierney also has excellent close control of the ball, making it difficult for defenders to dispossess him even if they do manage to catch him. Add to that an array of crosses and the intelligence to know where best to place them, and Tierney becomes a deadly weapon on the far side for Celtic. Defensively, his pace and acceleration are great boons for the youngster, capable of catching up and shielding even the quickest wingers in Scotland. His footwork and technical ability also allow him to dispossess opponents cleanly. He famously turned a dangerous loose ball away from an on-rushing Hearts player with a Zidane-esque roulette during his breakout season. In spite of all the praise, Tierney still needs to add a little more muscle to his frame to become a more impervious screener, and does also need to work on his game management. There are times where the youngster either disconnects from his surroundings or fails to read things in time, although his pace and acceleration are sometimes enough to mask the danger he sometimes places his team in. Looking Ahead: Ask most people who the next breakout Scottish star is, and they will likely cite Oliver Burke of Red Bull Leipzig. There are high hopes for others, too, such as Charlie Telfer and Ryan Guald, but make no mistake that the greatest prospect for Scottish football behind Burke is Kieran Tierney. The Scottish Champions have a history of being forced in to selling their biggest and brightest names to those across the border, and Tierney will be another name subject to rampant speculation over the course of the next few transfer windows. Regardless of whether he stays or goes, however, Kieran Tierney has all the tools to make it to the very top of his profession. 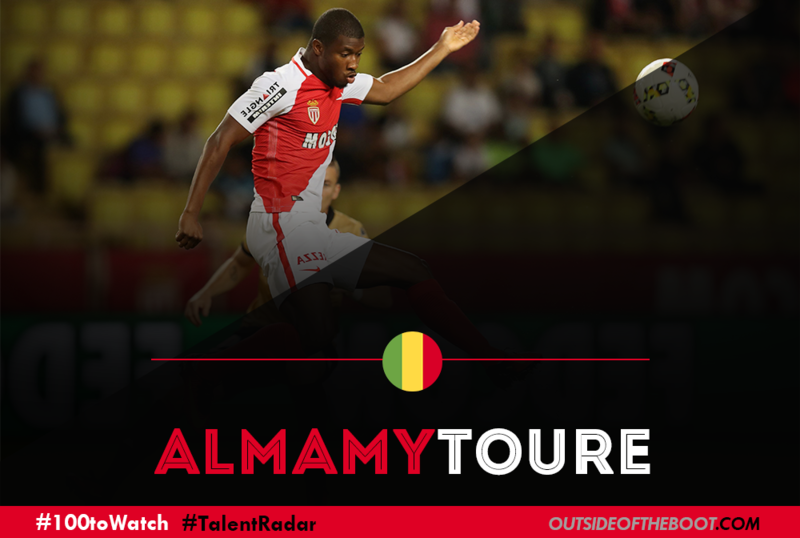 Blurb: Having immigrated to France at a young age, Monaco’s right back Almamy Touré is a bit of an enigma. Handed his first cap with the reserves at just 15, he made his first team debut at 18 in a Coupe de France match and was handed a surprise start against Arsenal in the Champions’ League just a few weeks later. The youngster acquitted himself handsomely in that match, but he has yet to make a significant impact on the first team, having struggled with a variety of injuries last season. Having already missed more than a month this season with a hip injury, he will be chomping at the bit to improve his standing at the club, even as his obvious path to the first team is somewhat blocked. Analysis: Touré’s main attribute to date is his searing pace. He is also a fine dribbler of the ball, both at speed, and in tight corners, but like many young attack-minded fullbacks, he can be overly reliant on his speed, which can lead to the odd positional error. He is, however, unlike most younger fullbacks, exceptionally strong, standing six feet tall and physically powerful. This does allow to him atone for his defensive mistakes, but he is sometimes prone to the odd foul. He was booked three times in ten starts last season, but has yet to see the referee’s notebook this campaign, so this aspect of his game may be improving. His combination of pace, power and size make him a good threat at set pieces, and also allow him to get good separation from opposing fullbacks. His quality of crossing is still a bit of a work in progress, but that, too, has improved season-to-season. He already has the same number of assists this season as last, and while he has yet to score after netting three times last campaign, what is being asked of him is quite different this season, as Monaco have increasingly played with two strikers, the fullbacks tasked with maintaining width. This therefore limits Touré’s opportunities to cut inside and with it the number of scoring chances with which he is presented. Looking Ahead: Some would have argued that the arrival of Djibril Sidibé would have been a huge roadblock for Touré’s development. It seemed that just as the youngster was ready to get a chance, with Andrea Raggi playing more at center back and Fabinho used in central midfield, he could stake his chance at being the starter. While that has been the case to some degree, Touré has taken things in stride, and looks impressive when he has featured. He is unlikely to displace Sidibé on current form, but the French international’s versatility has seen him switching to left back, leaving the youngster to be an attacking threat on the right. A first call-up for Mali, establishing himself as the back-up to Hamari Traoré is an achievable goal for 2017, but he will surely feel frustrated to not be a part of his country’s Africa Cup of Nations squad, although he has supposedly applied for French citizenship, perhaps with an eye on surpassing Sidibé for both club and country. He should finish the season with more appearances for Monaco this season than last, healthy progression when factoring in the arrival of Sidibé, and his star should be undimmed by the quality of those appearances. 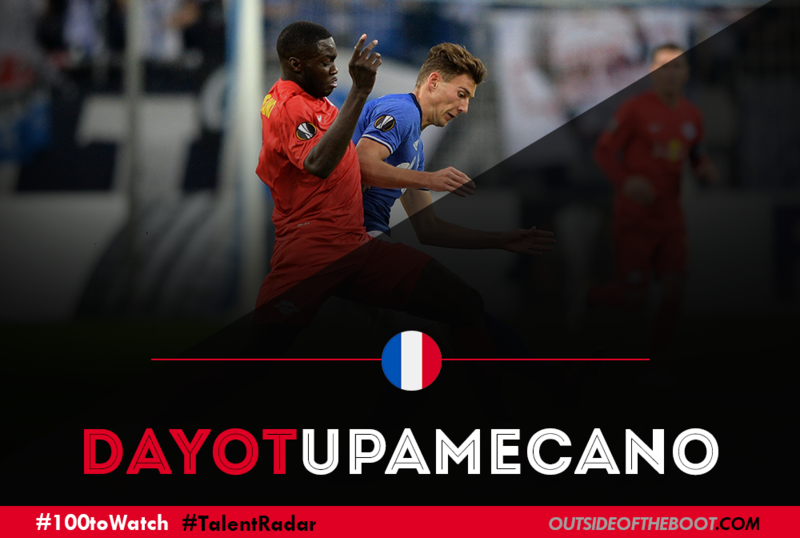 Blurb: Maybe one of the most ‘hipster’ names on our list, Dayot Upamecano is a player who could be on the minds of many in the coming seasons. Already said to be scouted by the likes of Europe’s bigger teams, the Red Bull Salzburg man has drawn a lot of attention and for good reason. Joining Salzburg’s academy from Valencienne’s youth system at just 16-years of age for a staggering 1.87 million pounds, the Austrian club had already spotted and harnessed great potential in the French youngster. Analysis: Upamecano spent most of the 2015/16 campaign with the youth side but did feature twice for the Salzburg first team. It is this season which the Frenchman has made his impact on the Austrian Bundesliga. 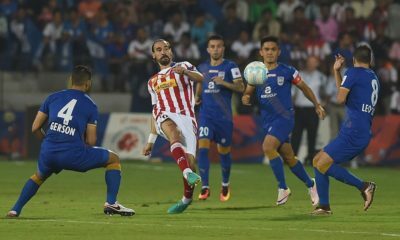 He can play both at centre-half and as a defensive midfielder, his bulky but mobile frame allows him to use his strength on any player in the league to win the ball. Although, this strength has sometimes been over exuberated leading to two suspensions so far this season. For a mammoth of a man, Upamecano shows that he can be extremely deft with the ball at his feet. After eighteen games in the league the youngster was the division’s most successful dribbler – successfully completing forty four dribbles. In an era of enhancing the role of a ball-playing centre-half, the Frenchman has all the attributes to develop into a truly fantastic master of this niche style. He has also gained European experience. Although Salzburg’s Europa League campaign was not a successful one, Upamecano displayed his talents against the likes of Russian competitors Krasnodar, the Bundesliga giants Schalke and the current leaders of France’s Ligue 1 Nice. Valuable minutes which most likely led to clubs noticing the youngster. Looking Ahead: With so many clubs interested in Upamecano at such a young age, I feel that it is important for the Frenchman to remain with Salzburg for a couple more seasons to continue his development before moving on to take a tougher challenge. As mentioned, his style suits the new emerging era of ball playing defenders and if he can continue to improve on his game, this ‘hipster’ name could soon become one of the mainstream additions to many a Football Manager player’s shortlists. 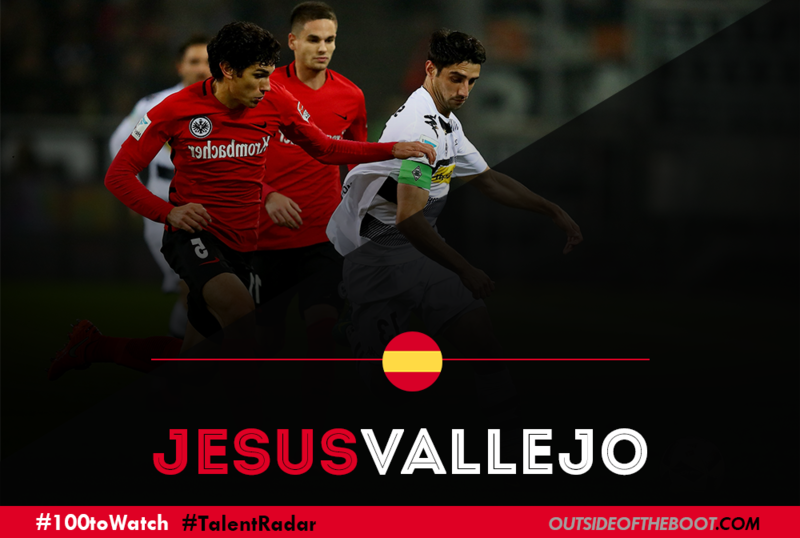 Blurb: Regarded as a prodigious talent, Jesús Vallejo made his debut, in 2014, at the age of 17 for his hometown club Real Zaragoza. In doing so, he had skipped making an appearance for Real Zaragoza B. 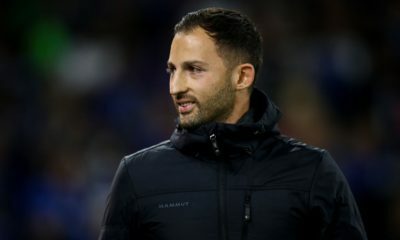 He quickly adapted to first team football, eventually being handed the responsibility of being team captain in April 2015 (less than a year after his debut). Quite clearly, a player of such repute would not escape the attentions of bigger clubs. In summer 2015, Real Madrid swooped in to sign him on a six year contract. That same summer, Vallejo captained Spain’s U19s in a victorious UEFA U19 European Championship for La Rojita. After spending the entirety of 2015/16 back on loan at Zaragoza, Vallejo now plies his trade for Eintracht Frankfurt in the Bundesliga, where the Real Madrid loanee continues to impress. 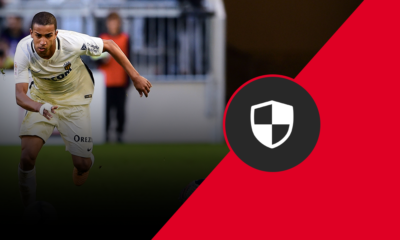 Analysis: Vallejo hails from the school of defenders that rely on brains over brawn. At 1.83m, the young Spaniard is on the small side for a centre back at the top level. However, that has not hampered his progress from Zaragoza youth player to being a starter in the Bundesliga in the space of two years. Possessing a useful turn of pace helps Vallejo get out of trouble, yet work has to be done on his levels of concentration. With experience and more playing time under his belt over the next few years, that flaw in his game should eventually be ironed out. That said, these flaws in his game should not detract from his undoubted talent. 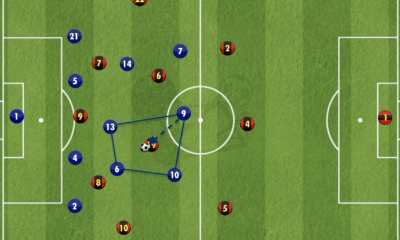 Perceptive in making interceptions, Vallejo reads the game well. In the air, Vallejo could be more dominant, making better use of his athleticism (giving him a jumping height) and game-reading ability (timing of his header). Again, these are things that should improve as he amasses more experience. 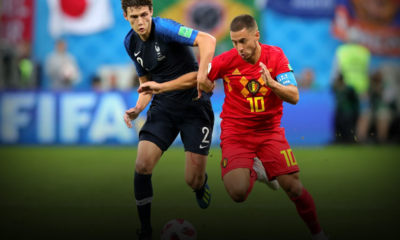 On the ball, Vallejo has all the hallmarks of a Spanish centre back ― he is composed in bringing the ball out of defence and has a great passing range. These are all attributes that, allied with his intelligence, stand him in good stead to eventually play at the very highest levels of the beautiful game. Looking Ahead: Looking ahead, Jesús Vallejo has what is arguably the most important attribute any young player could wish for ― maturity. Having been captain of his hometown club in his first two seasons at senior level, Vallejo continues to show the same maturity as he did back then. Eintracht Frankfurt have been so impressed with him over the first half of this season that they already wish to turn extend his loan by a further year. Vallejo has been called “scandalously good” by Eintracht coach Niko Kovač ― himself an accomplished defensive midfielder during his playing days, captaining Croatia for five years. As Real Madrid captain and stalwart centre back Sergio Ramos approaches the end of his career over the next five years, in Vallejo, Los Blancos already have the heir to both Ramos’ armband and starting role. If the Spain U21 international progresses as expected in the near future, he will soon be back at the Santiago Bernabeu. Don’t bet against Jesús Vallejo having the captain’s armband over a sleeve of that famous white shirt. Blurb: The Swedish national team has, for many years now, appeared to most neutrals as the Zlatan Ibrahimovic show. 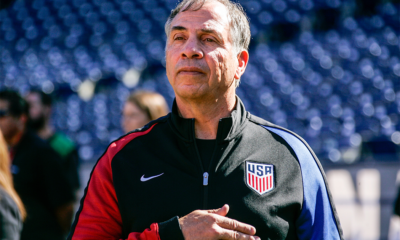 Beneath his iconic shadow, however, stands the wave of the future. 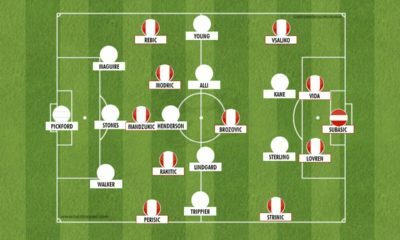 With Zlatan’s retirement comes an opportunity for the Scandinavian nation to restructure their international image, and with a surfeit of young talent across the field waiting in the wings, it’s fair to say the nation has an exciting squad brewing. One of those youngsters primed for a big future on the international stage, is defender Linus Wahlqvist of IFK Norrköping. Analysis: Wahlqvist first joined the Norrköping youth academy back in 2009 from his boyhood club, Enenby BK. Primarily deployed as a centre back, the youngster caught the eye of then-manager Janne Andersson (the current manager of the Swedish national team) in 2013 and was duly added to the first team for the new Allsvenskan season. His debut came in April of 2014, in a 2-0 win over Helsingborgs IF. The following season, Wahlqvist was celebrating silverware, as Norrköping reversed their 12th place finish from 2014 to not only claim the Allsvenskan league title, but the 2015 Super Cup, too. Wahlqvist made twenty nine appearances and even pitched in with three goals. Since his call up to the first team, Wahlqvist has been transitioned away from centre back and to the right back position – which seems to have suited him down to the ground. At 6’ft tall, the youngster was about the right height to play centre back, but certainly could have done with being a little taller and more physically imposing. However, out wide, Wahlqvist was allowed to show his technical ability in a division that mainly plays its football along the carpet. While perhaps not quite as much of a flying full back as Sebastian Corchia of Lille or Nathaniel Clyne of Liverpool, Wahlqvist possess impressive technical ability for one so young, with a good range of passing and a calm control on the ball. 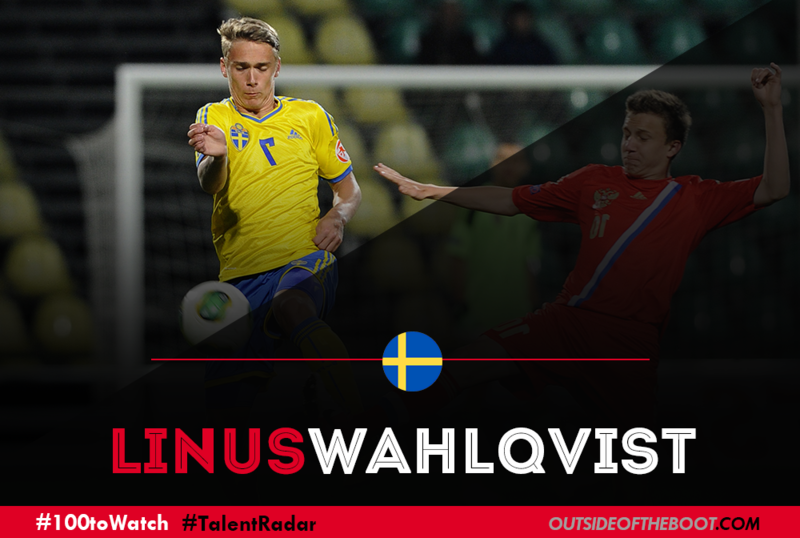 His time at centre back has developed good defenders’ instincts, and despite his proficiency further up field, Wahlqvist is rarely found wanting in his own area. What grabs the headlines most often for young Linus is his portfolio of goals – already the full back has scored two long range bullets against AIK and Djurgården, as well as a cross-shot against Hammarby. It’s clear Wahlqvist has an eye for the spectacular, whether he means them or not. Certainly under the tutelage of Janne Andersson, Wahlqvist’s understanding of the game and his responsibilities came on leaps and bounds in a short space of time. With Andersson now at the reigns of the national team, Wahlqvist has made three appearances for the first team, as well as a combined fifty eight caps across the Swedish U17, 19 and 21 squads. Clearly Andersson is keen to see the youngster develop, and considering the improvement after only a few seasons beneath his learning tree at club level, Wahlqvist seems set to impose himself on the Swedish national scene for some time. Looking Ahead: The Norrköping reigns now lay in the hands of Jens Gustafsson, who after taking over in May of 2016, could only see the champions as high as 3rd, six points off leaders Malmo. However, the manager, who has previously served a spell as Sweden U21 manager in 2015, will be keenly aware of Wahlqvist’s talents, and will no doubt be keen to help the youngster develop further. Couple Gustafsson’s guidance with Andersson’s on the international stage, and Wahlqvist seems in capable hands. That said, with attacking full backs in vogue these days, there will be growing interest on the continent for the youngster’s services, and both club and player must be careful to not hamper Wahlqvist’s development for the sake of financial gain. While that may be a big ask in the not-so-cash-rich Allsvenskan, Wahlqvist is in the perfect environment to develop for at least a season or two more, and if allowed that chance, can become a major name in Swedish football for years to come.